to all you lovely serendipity brides tying the knot today!!! Here in Serendipity, we are loving the beautiful beaded wedding gowns that are glimmering on our gallery rail. Beautiful and glamorous – our beaded and sequined gowns are a fantastic way to add a little bit of sparkle to your wedding. It’s your big day and you deserve to shine!! 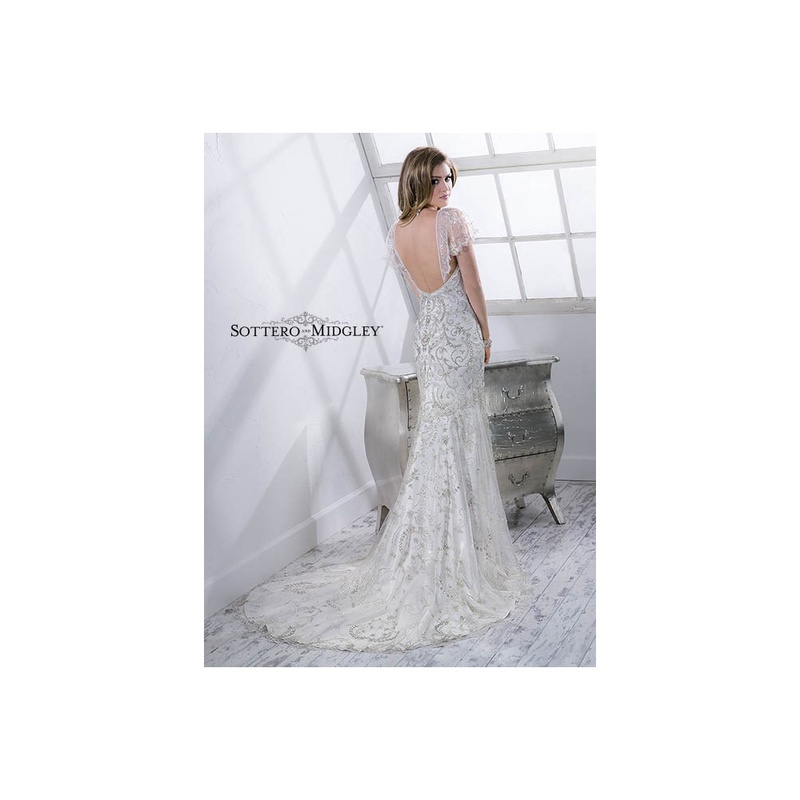 Above are two stunning gowns from Sottero and Midgley – they both have an exquisetly detailed beaded overlay – one with a highher illusion jewelled neckline and the other with a more of a 20’s flapper style vibe, with its soft floating cap sleeve detailling. They are an amazing wow factor gown that has a soft glimmer – you have got to see them in reality! Above is a stunning pronovias gown, it is a soft satin gown with a waterfall panel beading effect flowing from each side of the the body, falling down the hips and flowing out into the trumpet shaped trail. The beading also falls down the back into a deep v shape. This gown has the best of both – a classic simple clean cut silhoutee to the front , and snap shots of the beading panels to the sided and back. Above is another beauty from the Pronovias collection. It has a soft angelic appearance, made up of the soft silky tulle, a high neckline which is embroidered with shimmering irridescent sequins. It is such a soft light and floaty dress and so easy to wear.